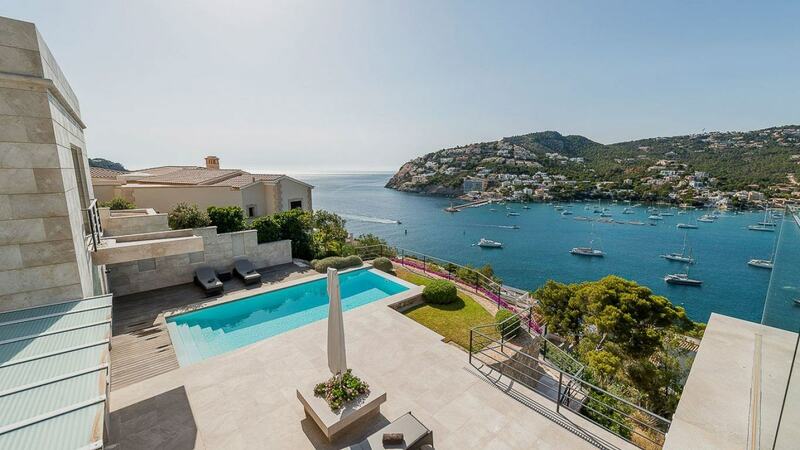 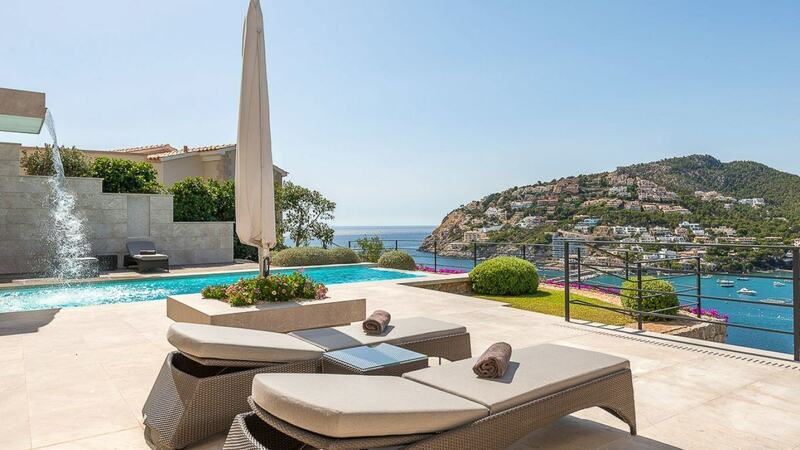 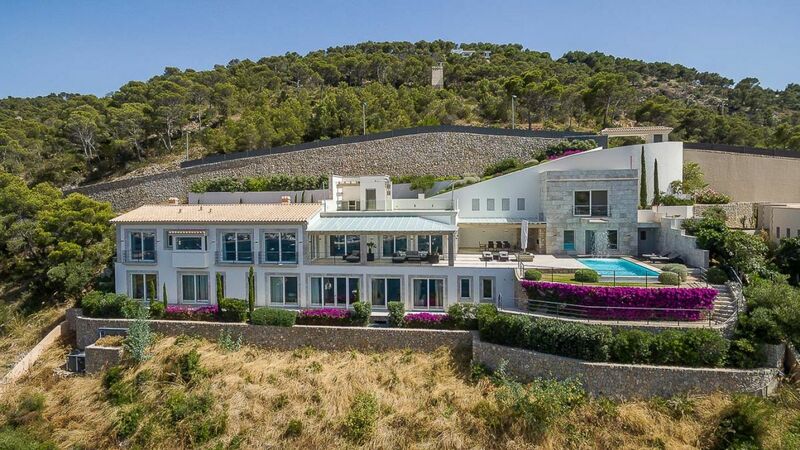 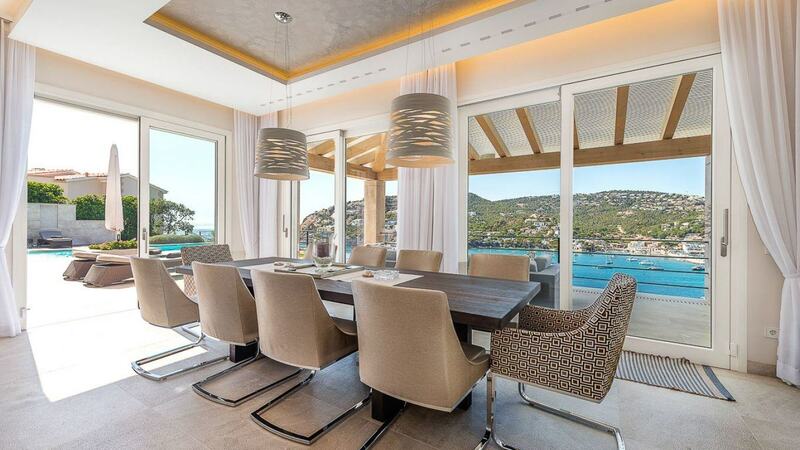 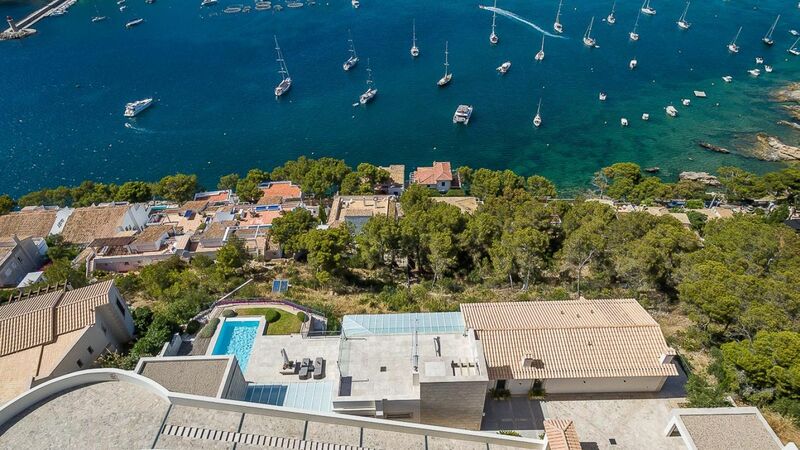 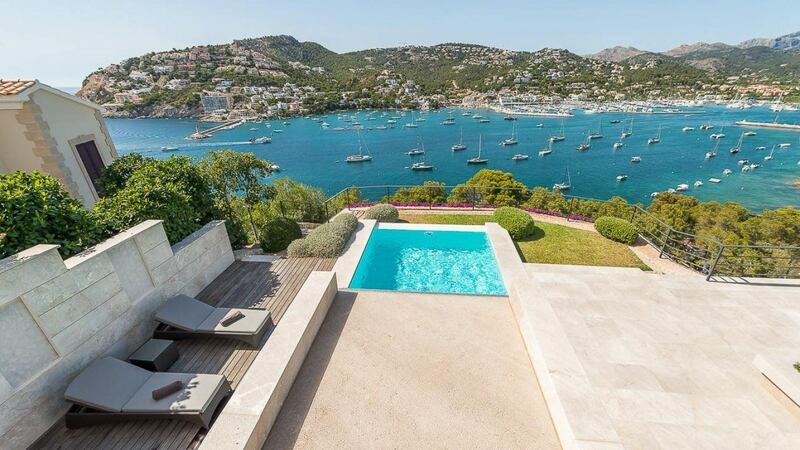 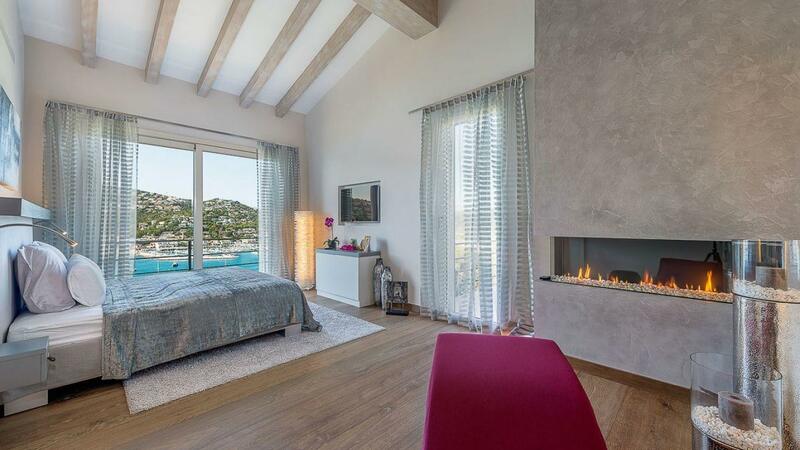 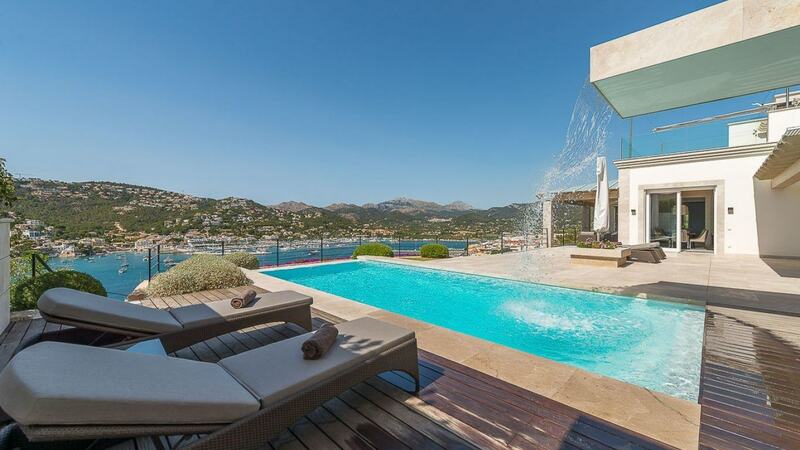 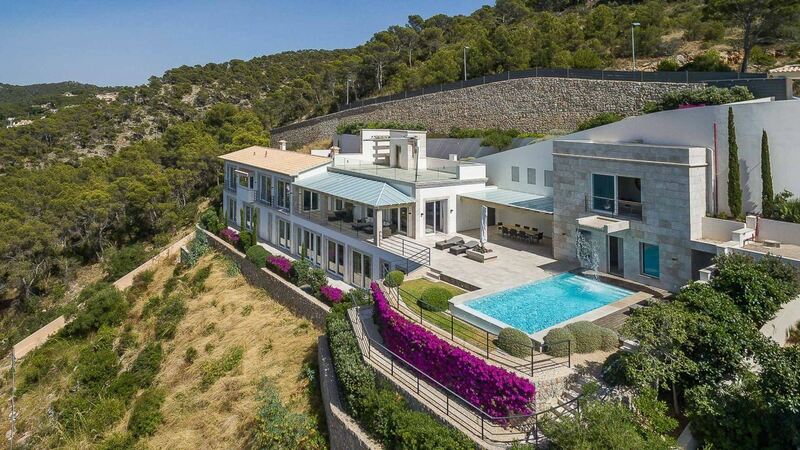 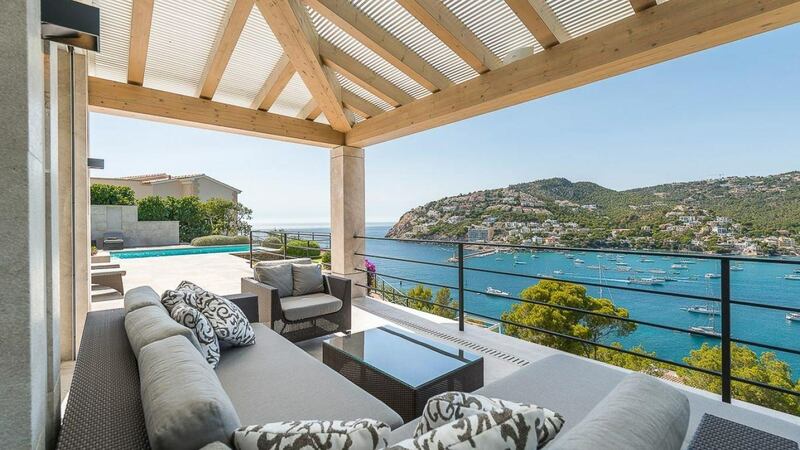 Villa Desiree is newly built luxury villa in Palma will help you fill your camera with panoramas of the harbor and breathtaking sunset shots. 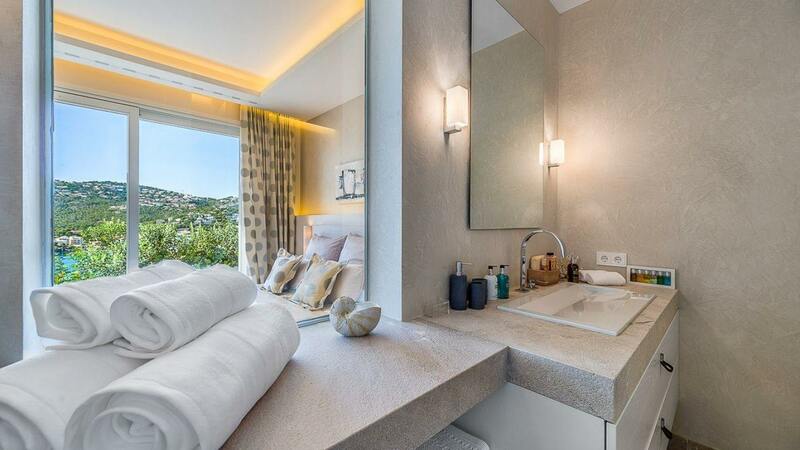 It’s only a short drive to the sandy beach. 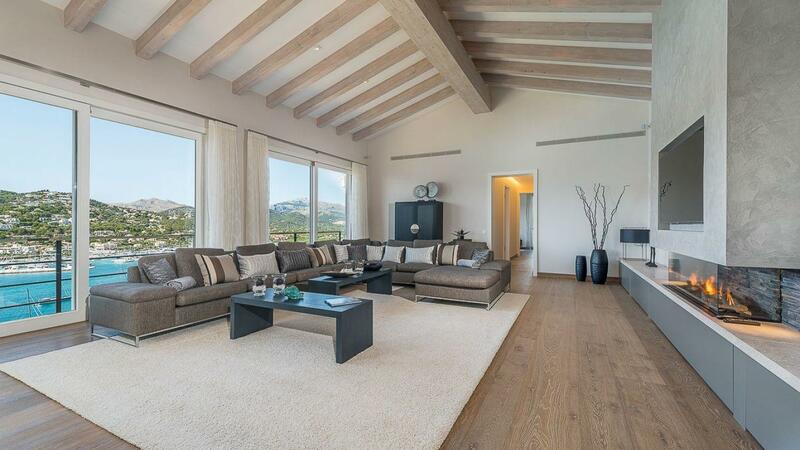 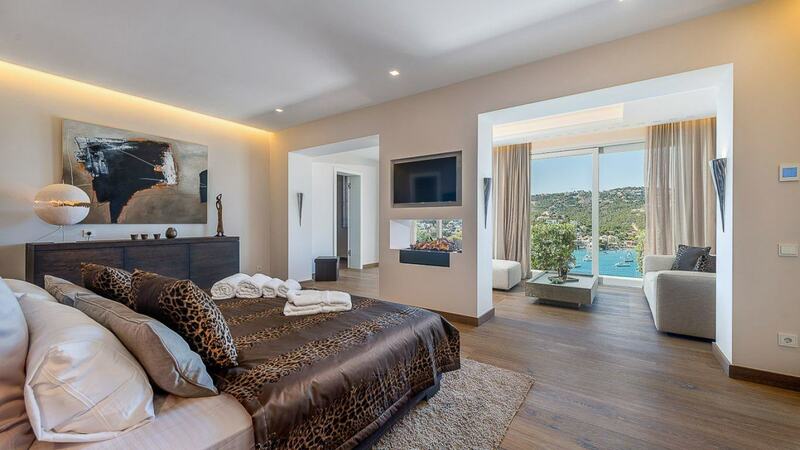 The bright, modern interiors of the villa are both stylish and thoughtful. 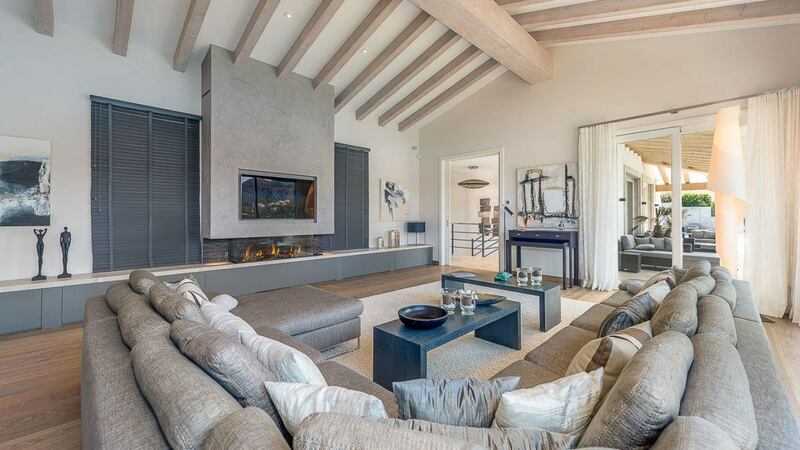 In the living room, a sectional lets you face either the sea or the fireplace, and subtle shades of cream and gray set a refined tone. 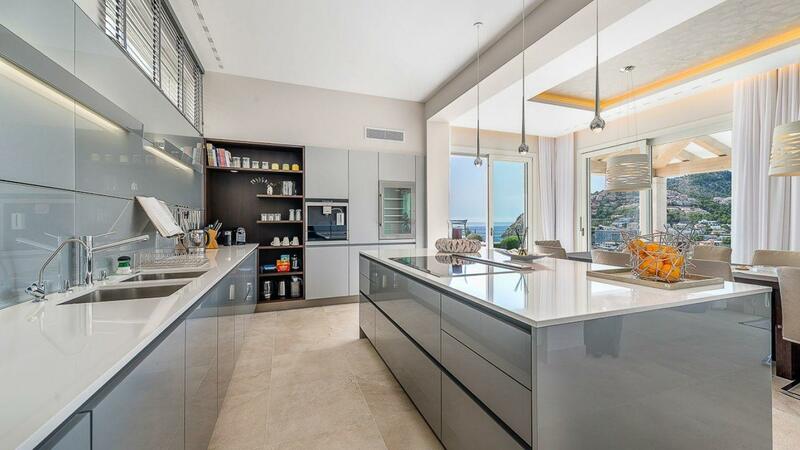 Chrome-legged chairs feel slightly glam in the dining area, while the adjoining fully equipped kitchen is all minimalist with its flat-fronted cabinetry. 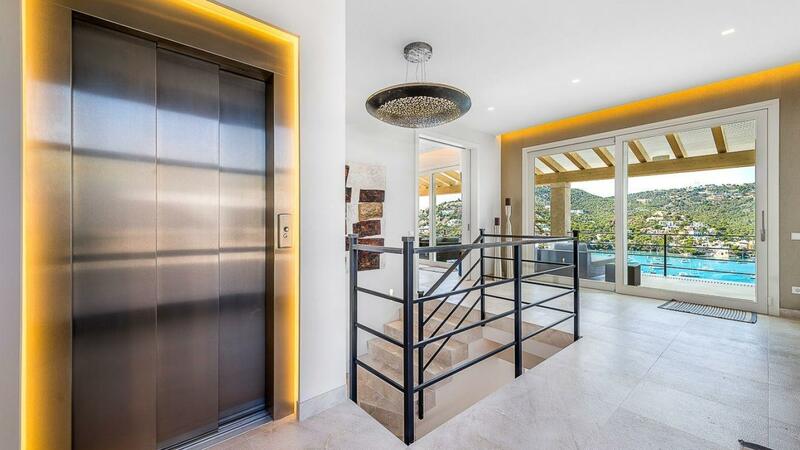 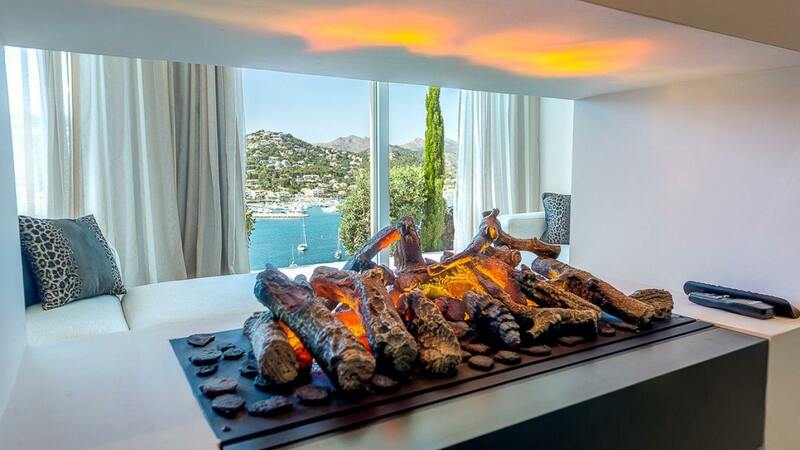 Smart-home technology, underfloor heating and an elevator give this vacation rental high-tech creed to match its high-end chic. 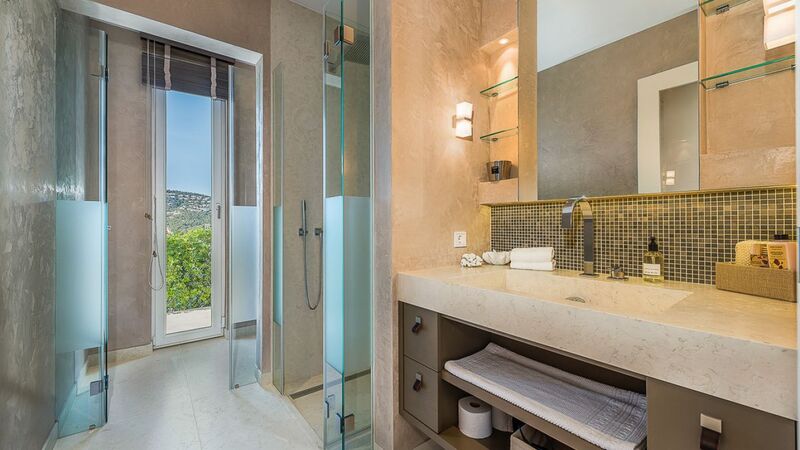 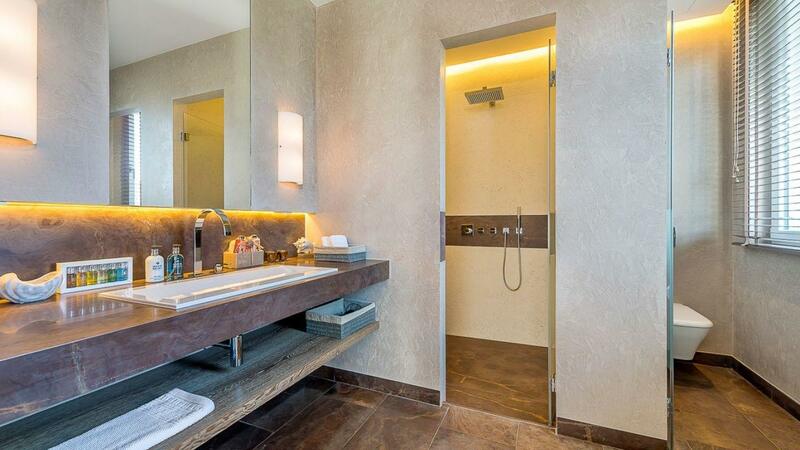 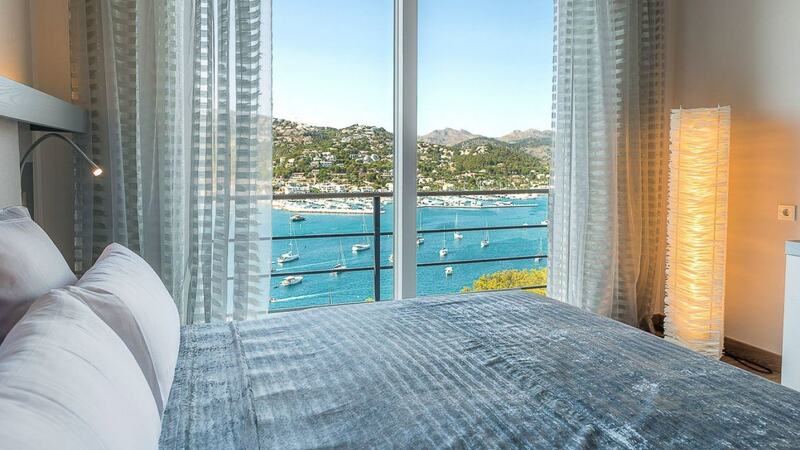 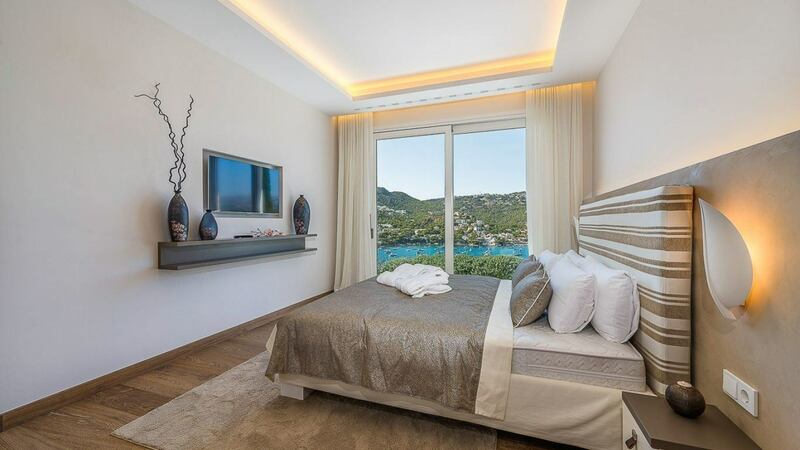 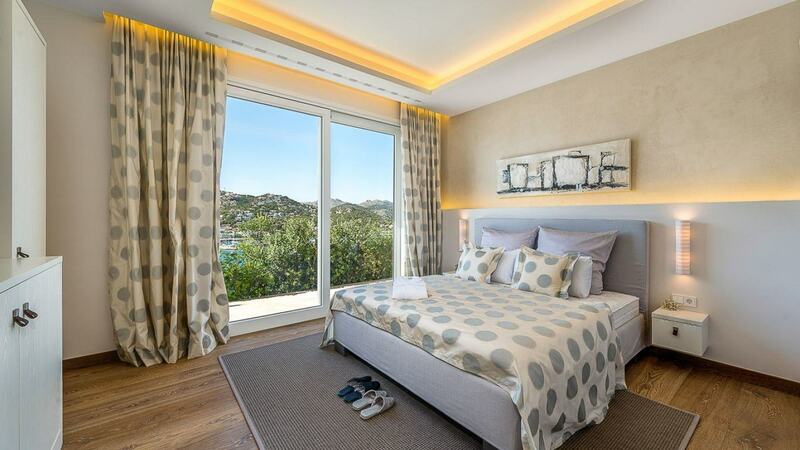 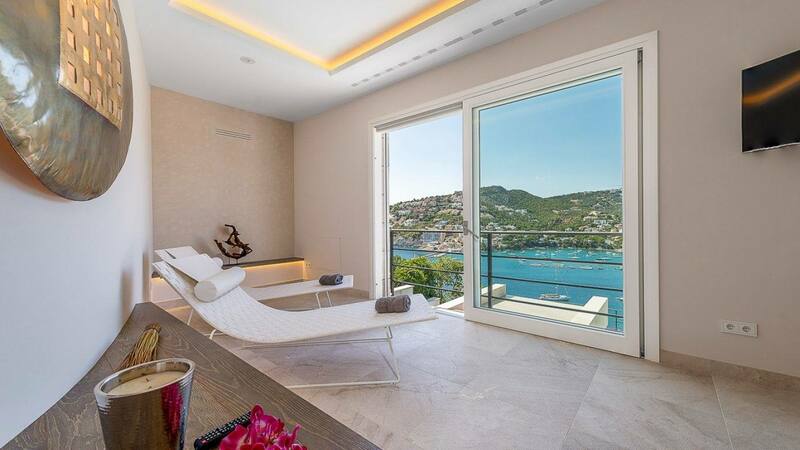 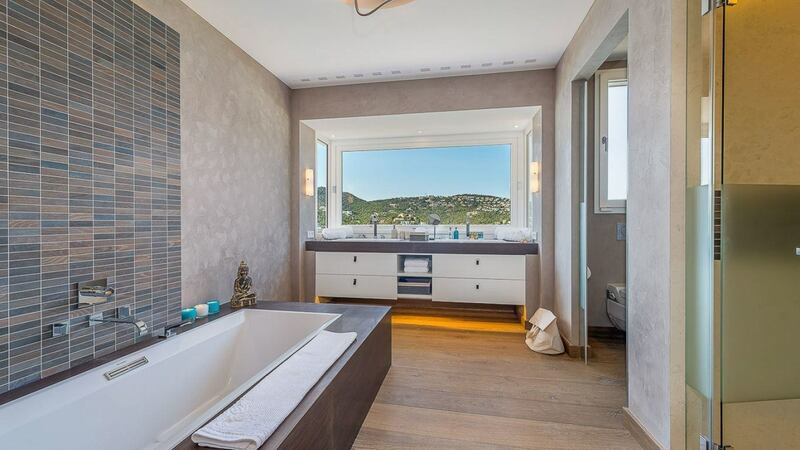 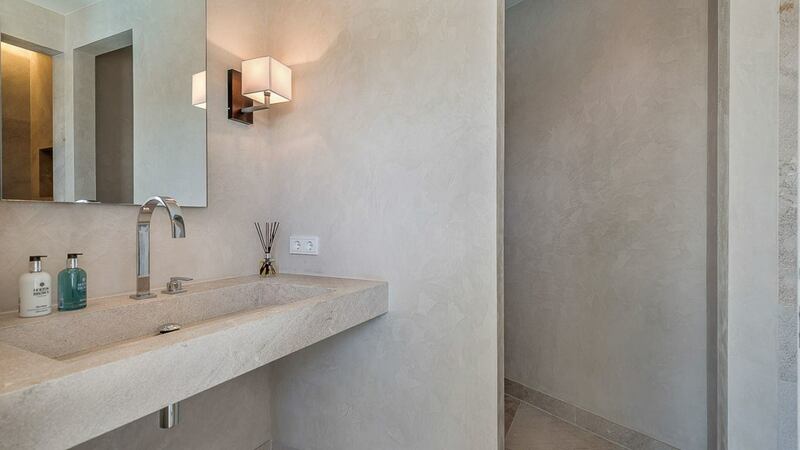 Each of the villa’s five bedrooms has an en-suite bathroom and opens to a terrace or balcony. 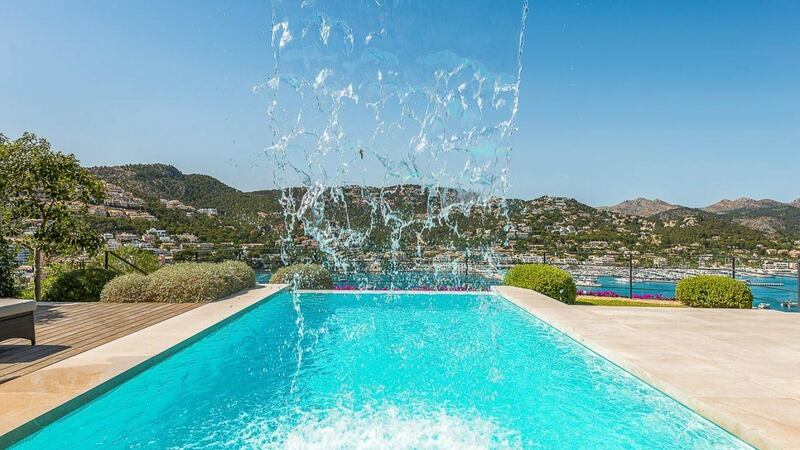 Outside, there is a sunny terrace, where a waterfall plunges dramatically into the infinity pool and plenty of lounge chairs await your arrival. 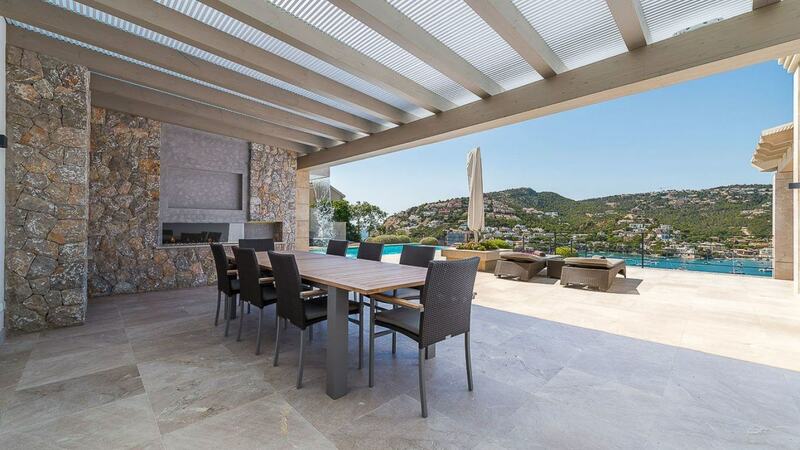 Open the umbrellas or adjourn to the covered sitting area for shade and watch the sunset from a cozy al-fresco dining area that has a barbecue and fireplace.